Mike Quade will not return as manager of the Rochester (N.Y.) Red Wings, the Twins’ Class AAA affiliate. 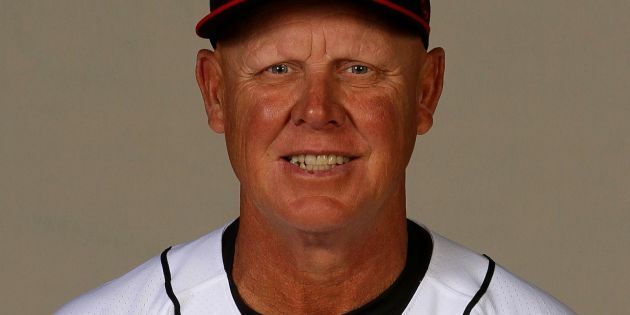 Quade, 60, told The Democrat and Chronicle of Rochester that he would be a roving outfield instructor for the Twins’ minor league system, at his request. The Twins have not announced a replacement for Quade, who managed at Rochester for three seasons and was 238-192 (.553). The Red Wings announced the signing of four players, all of whom played at the Class AAA level last season. Outfielder Ryan LaMarre also played three games for the Oakland Athletics and pitcher Myles Jaye pitched in five games for Detroit in 2017. Catcher Bobby Wilson and catcher/infielder Willians Astudillo also signed minor league deals. ROCHESTER, NY – The Minnesota Twins have signed outfielder Ryan LaMarre, catcher Bobby Wilson, catcher/infielder Willians Astudillo and right-handed pitcher Myles Jaye to minor league contracts. LaMarre, 29, spent most of last season in the Pacific Coast League, appearing in 51 games with Salt Lake (LAA) and Nashville (OAK) while playing in three MLB games with the Athletics. He batted .247/.328/.300 with three doubles, three triples, 19 RBI, nine stolen bases and 17 runs scored in Triple-A with the Bees and Sounds. The 2010 2nd round selection by Cincinnati out of the University of Michigan has appeared in 194 International League games. Wilson, 34, spent all of 2017 with Triple-A Oklahoma City (LAD), batting .243/.318/.428 with 12 doubles, 11 homers, 45 RBI and 34 runs scored in 75 games. The 2002 48th round pick by Los Angeles-AL out of St. Petersburg College has appeared in 324 MLB games, a majority coming with the Angels from 2008-12. Astudillo, 26, appeared in 36 games last season with Triple-A Reno (ARI), batting .342/.370/.558 with 14 doubles, four homers, 22 RBI and 22 runs scored. He won the 2015 Florida State League batting title after hitting .314 for Clearwater (PHI). The 2009 non-drafted free agent signee by the Phillies out of Barcelona, Venezuela has only struck out 67 times in 1,979 career minor league at-bats. Jaye, 25, made his MLB debut in September with Detroit after spending the minor league season between Double-A Erie and Triple-A Toledo. He was 4-13 with a 3.96 ERA (58 ER, 131.2 IP) with 148 hits, 72 total runs, 11 home runs, 46 walks and 115 strikeouts in 25 minor league starts and 1-2 with a 12.08 ERA (17 ER, 12.2 IP) in five MLB appearances. Minnesota will announce all minor league signings that receive an invite to spring training at a later date.